Step 1. 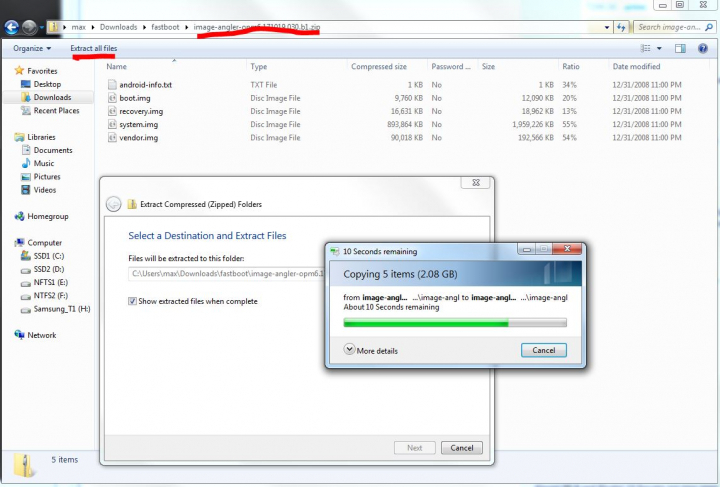 Find the image zip file, it is the file starting with “image” and ending with “.zip”. Unzip or extract all files. Step 2. 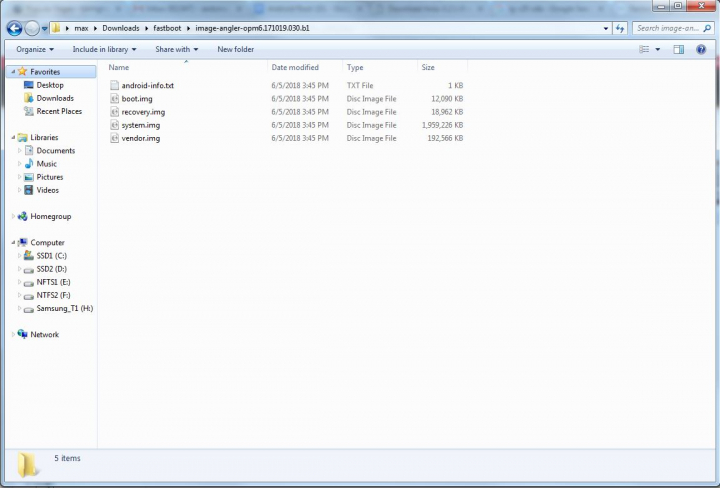 You should find bunch of files ending in “.img”, specifically boot.img, recovery.img, system.img, and vendor.img. Step 3. 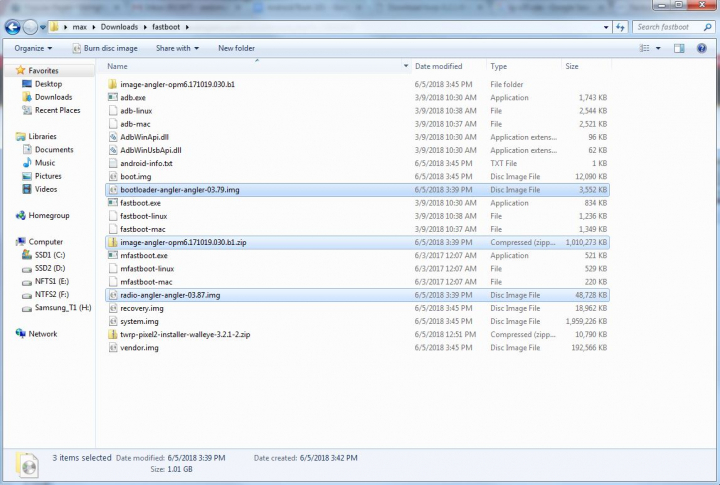 Copy these files into your fastboot folder. 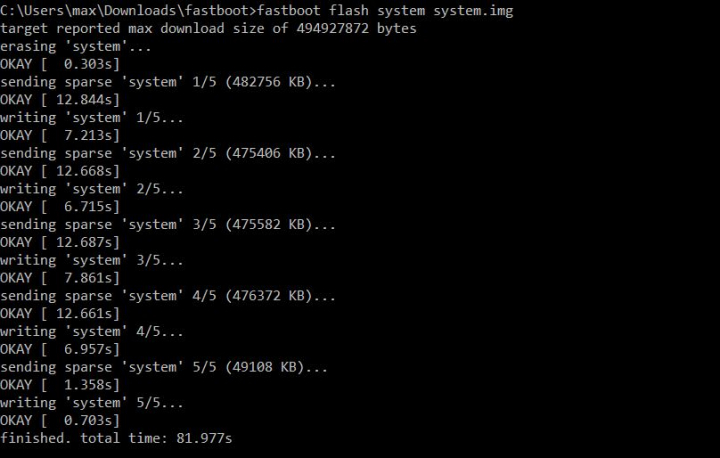 If you don’t have fastboot, download the fastboot.zip here. And also unzip fastboot.zip and you will get a folder called fastboot. This will flash the recovery image. This will flash the vendor image. and this will flash the system image. When done, simply reboot using the bootloader menus and your phone should fully boot. If for some reason you end up in a bootloop, reboot into stock recovery, then do a factory reset to fix. That’s pretty much it but basically what happened here was that the image zip file couldn’t be installed due to a bug in the script. By unzipping the image zip file manually and flashing the image files one-by-one, we actually accomplished the same thing but instead of getting stuck with the “archive does not contain ‘vendor.sig'” error, we are able to successfully flash the stock firmware. If you have any questions on this or need help, use link below to access our forum where you can get help! Next story How to FIx ODIN Failing at hidden.img While Flashing Stock Firmware on Samsung Android! Previous story How to Fix ODIN stuck on sboot.bin.lz4!